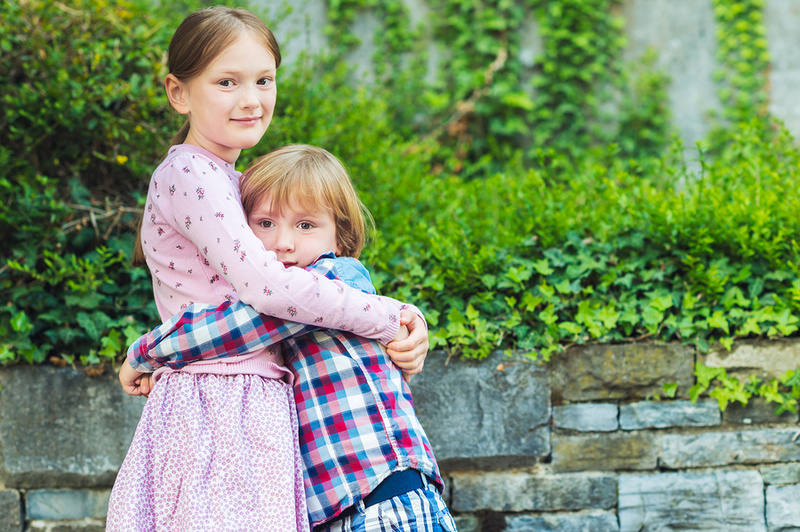 We learn something from every relationship, but when I was six years old, I didn’t know what would be coming from the newborn bundle that was my brother. I didn’t realize how exhausted I’d be. How frustrated, fed up, and confused. I didn’t realize that my life would be completely changed because of him, for better and for worse. Most of all, I didn’t realize how much I was about to learn. Here are just a few things that I’ve come to understand from growing up with a brother with autism, all the moments that I wouldn’t give up for anything. #1. Lack of understanding doesn’t equal lack of empathy. My least favorite autism stereotype: doesn’t it bother you that your brother can’t understand feelings? While it rarely comes from a bad place, people are misinformed on the subject of autism and what it actually means in regard to processing and understanding emotions. Believe it or not, my brother is one of the most sensitive people I know. He reassures me when I’m upset, supports my goals, and even imparts some pretty profound advice for his age. He might mistake one emotional expression for another or attribute it to something completely unrelated, but once he understands, he is the first to offer comfort and reassurance. #2. Brutal honesty can be refreshing. Yes, it hurts my feelings when my brother blatantly and objectively tells me that my outfit is ugly, my hair doesn’t look good, or I need to brush my teeth. While that may not be the best way to conduct yourself around the typical Joe, it’s certainly opened my eyes to how weirdly refreshing a bit of brutal honesty can be from time to time. I’ve always been a tactful person. The idea of hurting someone’s feelings by misspeaking has always plagued me, and out of that worry, I’ve often left important things unsaid. My brother taught me that a little brutal honesty from time to time can actually be helpful, not only for myself, but for my relationships. I’ve learned from him that sometimes confronting those uncomfortable truths can be necessary, and doing it without judgment can be much more comfortable than beating around the bush. #3. You can’t always be bothered by an outsider’s opinions. I used to be frustrated every time my brother broke down in the middle of a grocery store or stormed out mid-movie in a crowded theater. It irked me when I overheard people make comments about him, and hurt to know that people just didn’t understand. And, maybe most shamefully, I often felt humiliated. My brother has since taught me to develop a tough skin when it comes to the judgment of others. It’s also made me realize that we tend to make ridiculous and arbitrary judgments about others far too often. Who cares if a kid wants to spend an hour playing Pokemon in the book store every day, or makes odd gestures with his hands while he talks? The more I thought about it, the more ridiculous these judgments seemed to be. This lesson took me more time to learn than the others. Being socially-anxious, it was hard for me to let go of these concerns. Now, however, I’ve embraced the mentality that those who matter don’t mind, and my life has been made all the better for that. Normal, when turned on its head, ends up being a pretty relative thing. And not only that, but it can become unappealing. I love my brother for all of his quirks, flaws, and peculiarities. I love that he feels the need to open the door for everyone who leaves the movie theater, that he laughs too loud in public, and that he sometimes makes a bit of a scene in the funniest and most absurd way. He may see the world with an unusual slant, but who’s to say that slant is wrong? I’ve been lucky enough to learn a lot from my brother, and luckier still that he’s accepted my learning curves for what they are. My brother has been an amazing teacher, perhaps the one who encouraged me most to become a counselor, and I can never thank him enough for that.